Geophone, 6214641 event marked with white arrow on top, followed by seismic wave trace. Many geomagnetic impulses in the days before the event, without became a storm. 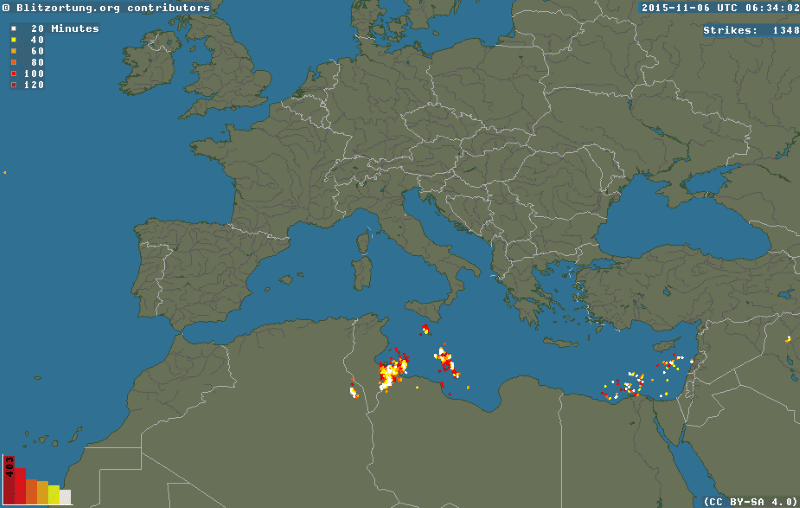 Absence of local lightning activity in north Italy. Geophone and Marconi antenna, 6214641 event marked with vertical white arrow. Schumann Resonances are on background but very interfered by signals coming from main network: all those horizontal lines. At very low frequency a signal like an hiss coming from a solar panel station, generated by inverter during the night. Seismic wave on top inside the dotted oval. No RF signals correlated with earthquake event. Marconi antenna (VLF electric filed), 6214641 event marked with vertical white arrow. Many statics, carriers coming from main network and Alpha Russian radionavigation system on top. No RF signals correlated with earthquake event. Two ICS101 orthogonal induction coils, 6214641 event marked with white vertical arrow. 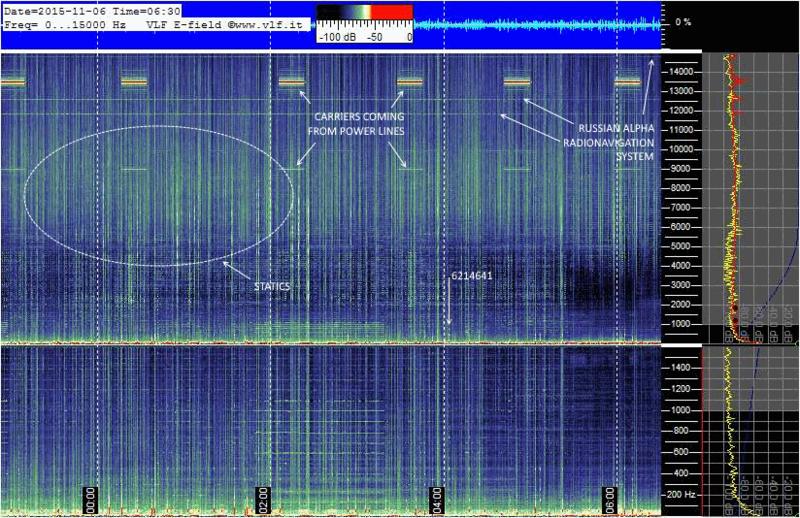 Schumann Resonances marked on left part, some interharmonic carriers, microphonic effect following the event generated by coil shaking, and trains start to passing early in the morning, 5km away . No RF signals correlated with earthquake event. Two ICS101 orthogonal induction coils, hourly strips, 6214641 event marked with white vertical arrow on left top. 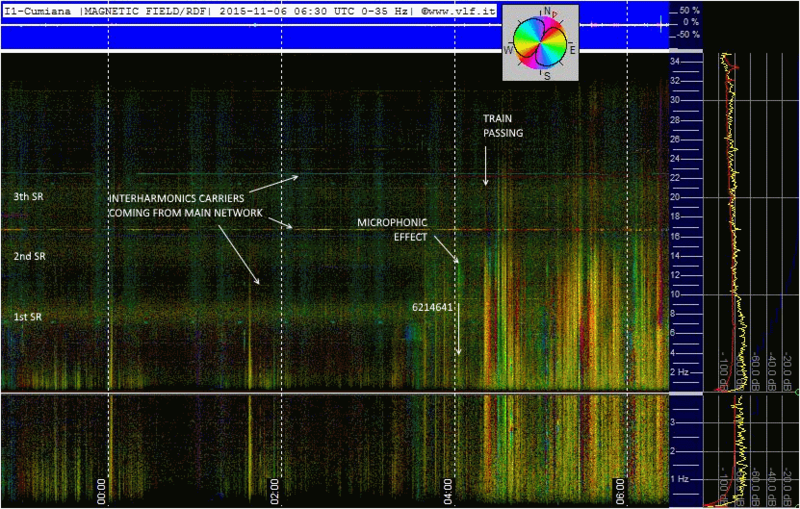 Schumann Resonances marked on left part on bottom, "green" microphonic effect generated by coil shaking follows the event , and trains start to passing early in the morning right after. No RF signals correlated with earthquake event. ADA floating electric field receiver on top, and aerial loop on bottom, 6214641 event marked with vertical white arrow. Wind shakes both sensor generating microphonic effect. No RF signals anomalies correlated with earthquake event. ADA floating electric field receiver on top, and aerial loop on bottom, 6214641 event marked with vertical black arrow. Strong statics activity evidenced in electric field and in magnetic field with many tweaks. 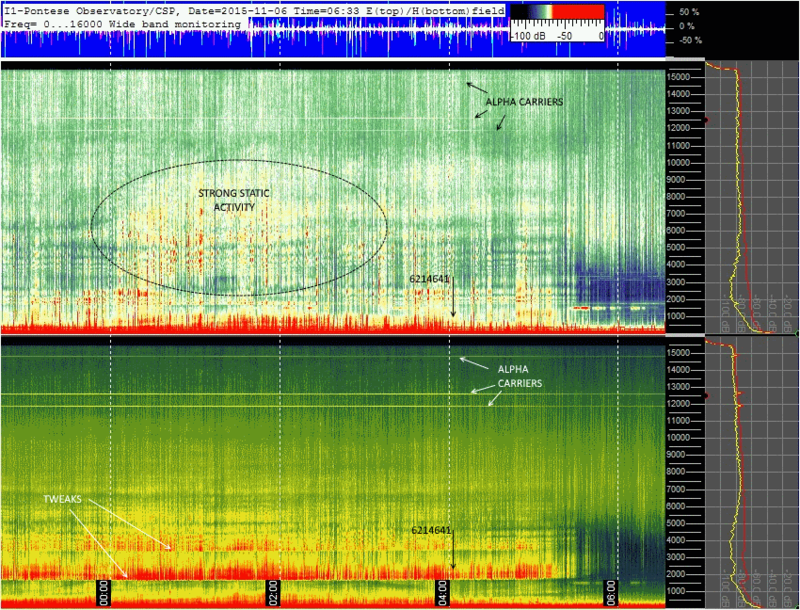 Russian Alpha radionavigation carriers on top between 1800 and 15000 Hz. No RF anomalies correlated with earthquake event. ADA floating electric field receiver, and aerial loop, daily multistrips, 6214641 event marked with vertical white arrow. Tweaks during the night in magnetic components and solar panels pwm regulation noise during the daylight hours. No RF anomalies correlated with earthquake event. Wave file source analyzed with Sonic Visualizer, geophone and Marconi antenna, 6214641 event marked with vertical red line, 8 hours view. Cars start to passing in the morning on geophone sensor, 50 m away from the road. 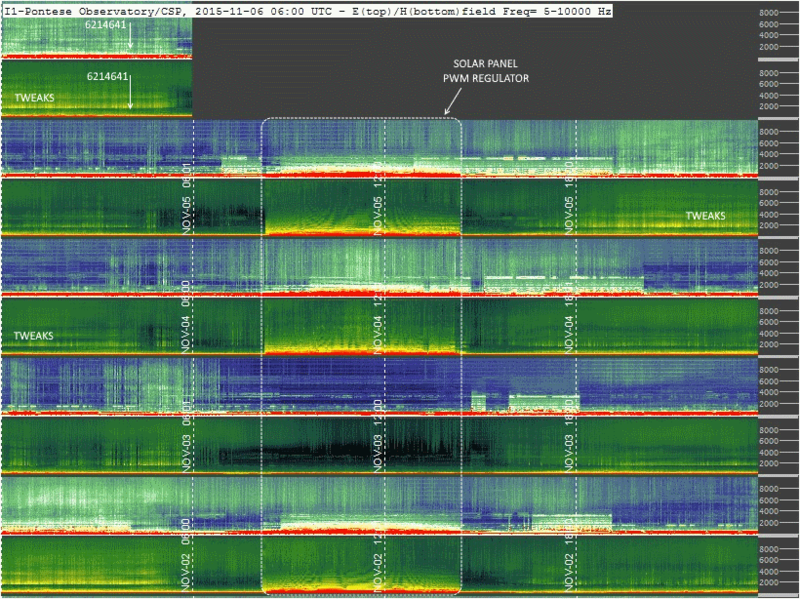 PWM regulation noise at very low frequency coming from solar panel installation, strong interharmonics pattern before 07:00. Schumann Resonances on background. No RF signals correlated with earthquake event. 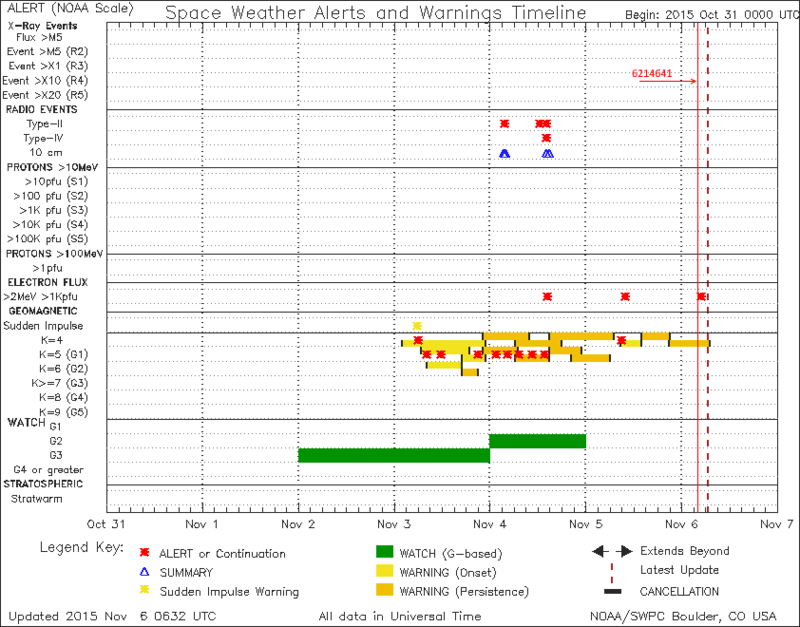 Detail of the picture above, 14 minutes view around seismic event, marked with vertical red line. 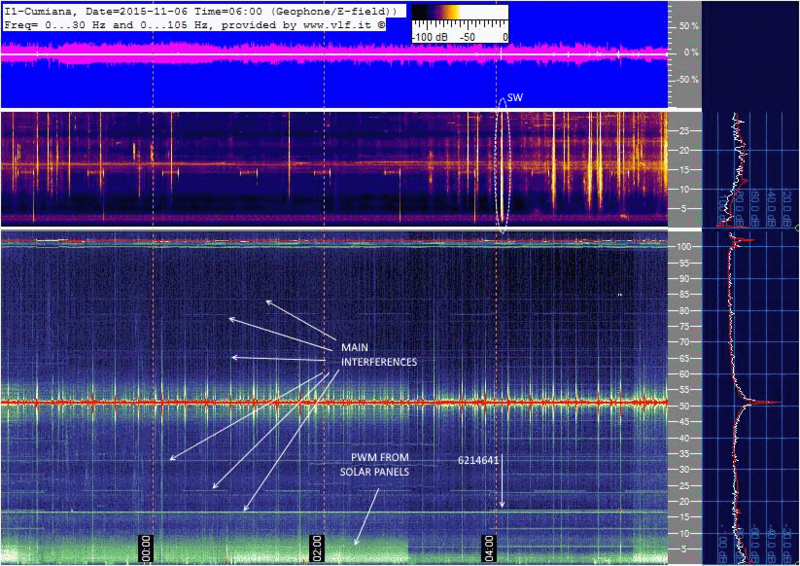 Strong seismic wave detected by geophone, and PWM dots on bottom in electric field. No RF anomalies correlated with earthquake event. 14 minutes picture detail of strong interharmonics pattern before 07:00. 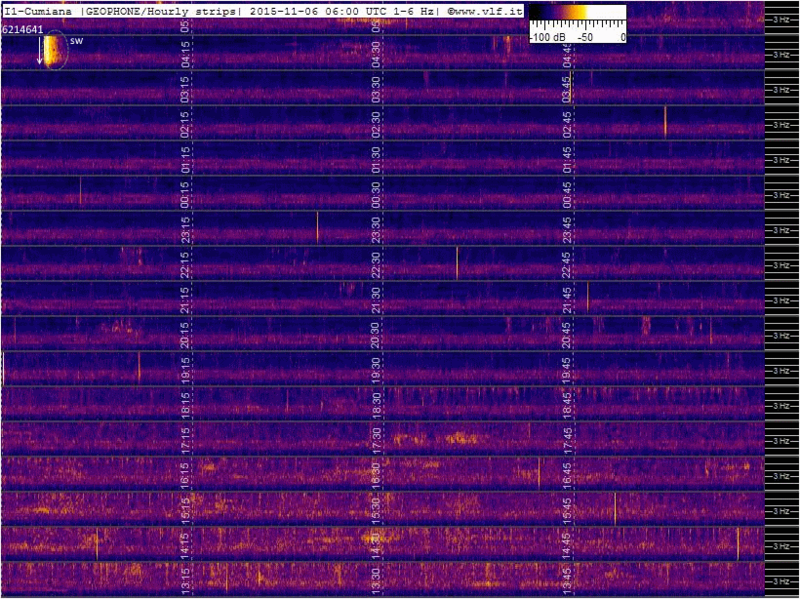 On geophone spectrograms clearly visible the car traces: every vertical trace is a car passing. No RF anomalies correlated with earthquake event. Wave file source analyzed with Sonic Visualizer, two orthogonal induction coils, 6214641 event marked with vertical red line, 8 hours view. 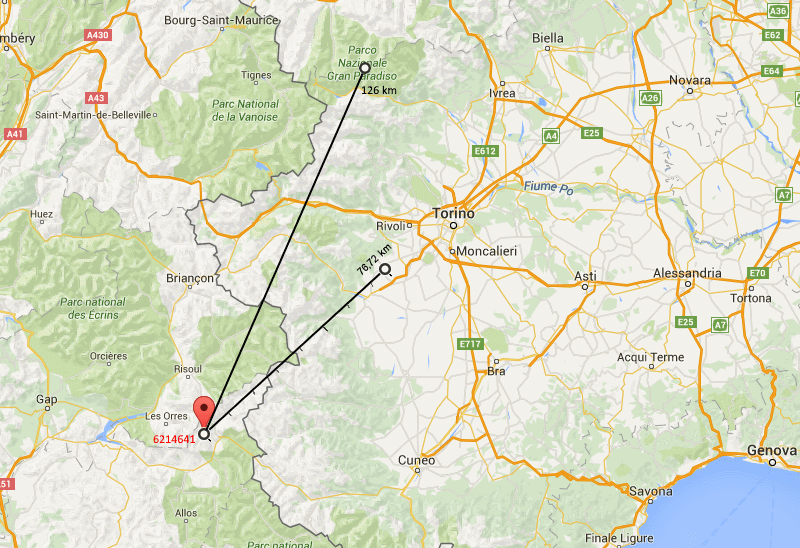 Trains start to passing in the morning 5 km far from monitoring station, strong interharmonics pattern before 07:00. 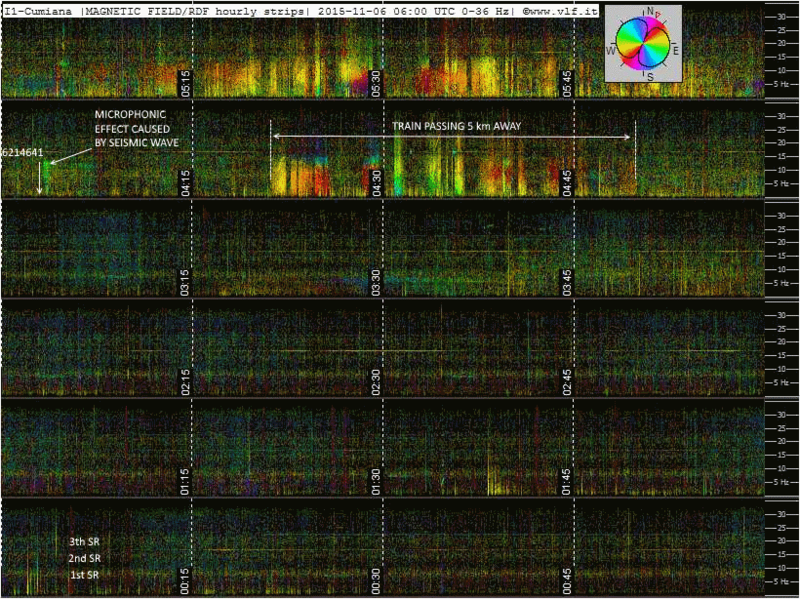 Schumann Resonances on background marked on left side. No RF signals correlated with earthquake event. Detail of the picture above, 14 minutes view around seismic event, marked with vertical red line. Microphonic effect caused by seismic wave on both coils. No RF anomalies correlated with earthquake event. 14 minutes picture detail of strong interharmonics pattern before 07:00. 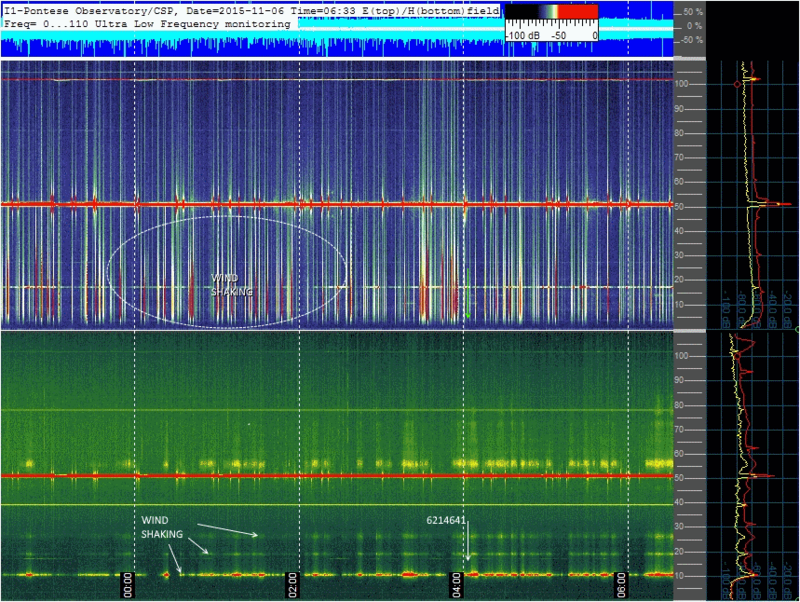 On both coils spectrograms clearly visible the train traces, Similar to fishbone. No RF anomalies correlated with earthquake event.